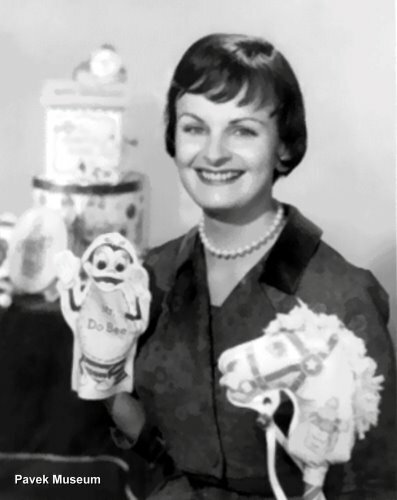 Romper Room was developed by Bert and Nancy Claster in Baltimore in 1953 and distributed nationally as a franchise. Each broadcast market around the country had it’s own locally produced version of the show. The program endured into the mid-90’s. Each local TV show shared several common elements. Children were encouraged to be “Do-Bee’s” and not “Don’t-Bees.” The host had a “magic mirror” and would look through it and call out to children watching at home. The theme for the show was “Pop Goes the Weasel” and often featured a Romper Room jack-in-the-box. In Minneapolis, Romper Room was first broadcast on WTCN in the mid-fifties, and later on KMSP in the sixties. We are still tracking down information on Romper Room in the Twin Cities, so if you have any memories, please share them! In the early 60’s, the show was hosted by “Miss Betty” Douglass on channel 9. 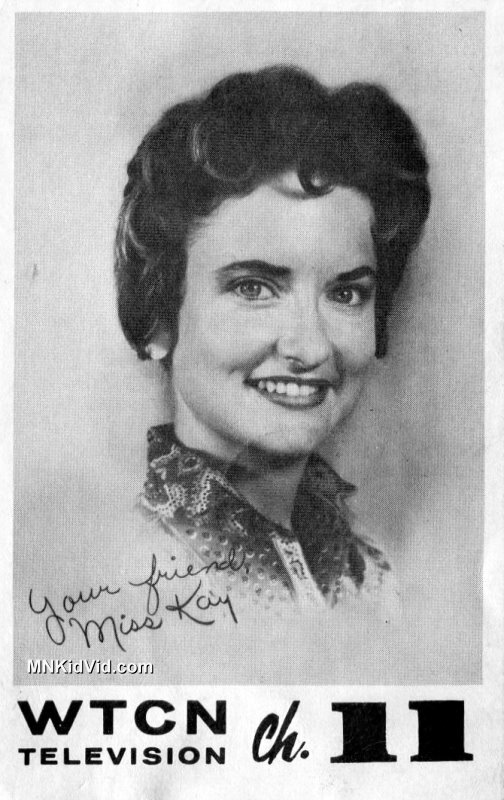 Surviving clips of Miss Betty visiting a fire station were included on the Hey Kids DVD released by the Pavek Museum and available on the Lunch With Casey website.